Communities across Kentucky will join a national event on March 20 aimed at discouraging the use of e-cigarettes and tobacco. 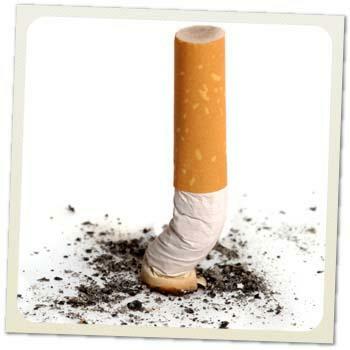 National 'Kick Butts Day' is a day of activism organized by the Campaign for Tobacco-Free Kids. More than 1,000 events will be held across the U.S., with the main focus on getting young people to kick the e-cigarette habit, especially Juul, which looks like a computer flash drive and comes in appealing flavors like mango, fruit and mint. In Eddyville, high school students from the group Champions for a Drug Free Lyon County will display shoes representing those who have died as a result of tobacco use. In a follow-up event on March 27, Monroe County CARES and the CARES Youth Prevention Ambassadors in Tompkinsville will create a visual display to air out Big Tobacco’s 'dirty laundry' at the courthouse. In Kentucky, 14 percent of high school students said they used e-cigarettes. That compares to the national rate of 13 percent. When it comes to traditional cigarettes, 14 percent of Kentucky high school students said they smoke those. That compares to the national rate of nine percent. E-cigarettes pose serious health risks for young people. The U.S. Surgeon General has found that use of nicotine in any form, including e-cigarettes, is unsafe for young people. Nicotine causes addiction and can harm the developing adolescent brain and affect learning, memory and attention. Studies also show that young people who use e-cigarettes are more likely to become cigarette smokers. The American Lung Association and other health advocates will gather in Frankfort on Thursday in hopes of rescuing legislation that would make all of Kentucky's public schools 100% tobacco-free. The Foundation for a Healthy Kentucky’s signature piece of legislation this year is stalled in the waning days of the 30-day session of the General Assembly. HB 11 would prohibit cigarettes, smokeless tobacco, and vaping items both during and after school hours. The Foundation for a Healthy Kentucky spent six figures lobbying members of the General Assembly just in the first month of the 2018 session. Their efforts are bearing some fruit. The Kentucky House passed a budget bill Thursday that includes a 50 cent hike in the cigarette tax. The Foundation for a Healthy Kentucky is pressing lawmakers to raise the tax on a pack of cigarettes by one dollar. CEO Ben Chandler sees a 50 cent tax increase as an ineffective compromise. He thinks 50 cents isn’t enough to make smokers give up the habit.